Penelope Noel of Chipping Campden died of blood poisoning. She had pricked her finger while embroidering. 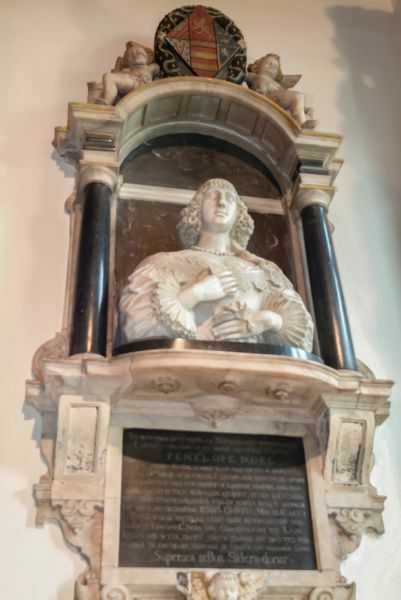 A marble & alabaster monument to her is on the wall of St James church, Chipping campden. Previous Post10th August, 1643. The Siege of Gloucester. Next Post25th August, 1643. Cannon Ball Hits Gloucester.